Conference Phone help business to do conference call between the clients , other businesses and between internal users.A business conference call is simply a telephone call involving multiple people or more that 2 people. Conference calls having high importance in business as it allows people in different geographic locations to engage in audio conference at a prearranged time via telephone lines.More over it help resolve an urgent business issue that requires input of several individuals.Conference calls are very important for the success of a business, as it can greatly facilitate business communications.The way business conference calls are essential same way the conference phones used in a conference call conversation is important. The effectiveness of the conference calls relays on the quality of the conference phone used. There is several brands available in the market to choose from. We partnered with top conference phone brands to full fill our customer needs. Your requirement may involve compatibility issue with different pbx systems or concerned about matching the quality and number of participant involved in a conferencing. Datavox India can help you choose the right device for your requirement that include professional installation. We carry Polycom, Yealink, Panasonic, Grandstream, Snom , Cisco and Avaya conference phone products in our inventory. SIP Conference Phones are IP supported conference phones and using SIP protocol to communicate. Most of the modern day IP telephone systems support sip protocol and thats why these phones are cross compatible irrespective of brands. We have Polycom, Snom, Yealink and Grandstream IP Conference phones in Our inventory. 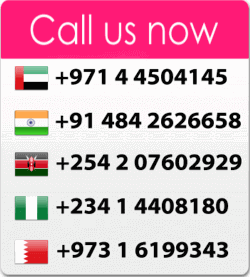 If you are still confused on choosing right product for your needs just make a call on +97144504145 . Our Sales engineers are always happy to assist you. The proprietary Conference Phones developed for some branded Telephone systems by the manufacturer those arecompletely dependent on the systems to which they were connected. In simple words proprietary Conference Phones work with same brand of telephone systems only and could not be used on any other systems. It is not cross-compatible with other brands of telephone systems. See and choose the proprietary Conference Phones in our inventory below. You can always consult with our friendly sales engineers and they are happy to assist you. A principal advantage of conference calling would it be can help to save money and time. Employees who might be scattered through the entire country don’t have to maintain the same location to exchange information or ideas. This actually also saves the organization in travel expenses, for example air transportation or fuel useage in addition to hotel costs and meal expenses.Conference calls can involve as little as three individuals who have to communicate simultaneously, like a salesperson, his manager along with a potential client. It is also employed for a sizable meeting of employees of the same company, for instance a monthly information exchange. Conference calling is also made more personal by introducing a visible element known as video conferencing where participants are able to see one another via video screens or their smart phon devices. Contact Datavox India today in case you are planning for a video conferencing system instead of a Audio conference.